ONEymoon tells the story of one woman who decides to marry herself! With ambiguous feelings about the institution of marriage and unwilling to commit to anything less than perfection, Caroline opts to re invent a long standing social convention. The audience joins Caroline as her family and friends on her unusual wedding day and follow along on her beach vacation — her honeymoon for one. 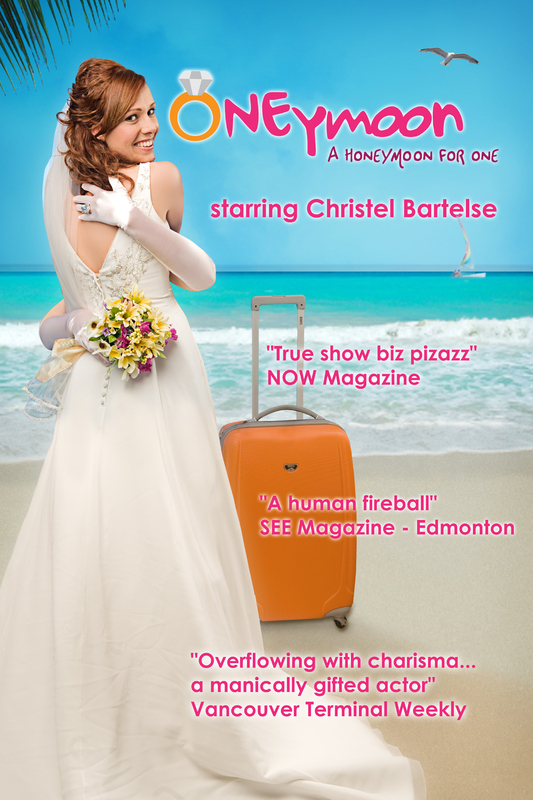 Filled with zany wit, improv, dance and song, Caroline pokes holes in our notions of “wedded bliss”; but ultimately finds that even a long term relationship with herself has its pitfalls.